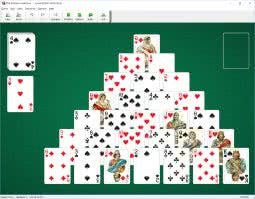 If you are looking for unique solitaire game variations, you have come to the right place. 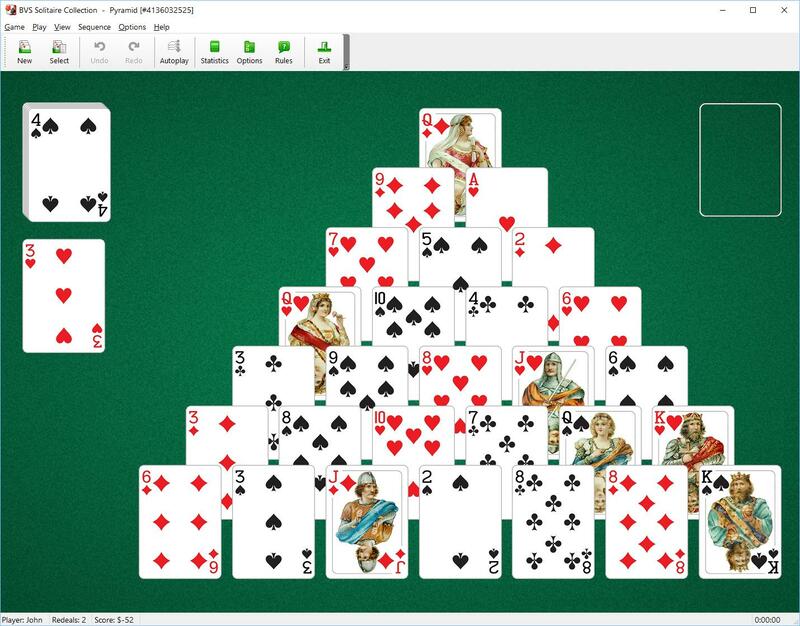 BVS Solitaire Collection 8.1 for Windows XP/7/8/10 is a high-class collection of 520 games. Enjoy all your favorite variations of this game like Spider, FreeCell, Tri-Peaks, Seahaven Towers, Pyramid, Forty Thieves, Klondike, Scorpion, Accordion, Canfield, Russian Solitaire, Flower Garden, Casket, Golf, Crazy Quilt, Yukon... Learn unique and fun games not found anywhere else, such as Braid, Cat's Tail, Topsy-Turvy Queens, Twelve Sleeping Maids etc. Plus, you can modify rules of any game, thus easily creating your own unique variations. Large and easy to read playing cards. Lots of excellent high quality backgrounds and card backs. Support for both Drag-and-Drop and Point-and-Click card movement. and more... Check out the full list of features. You can completely customize the game's appearance to suit your own taste. Choose from the wide range of card sets, card backs and backgrounds. Create your own backgrounds and card backs from images you have on your computer. Modify the toolbar to better meet your needs or preferences. Drag it around and dock it wherever you want. BVS Solitaire Collection provides you with a full set of statistics to measure your performance and track your progress in mastering solitaire card games. Looking for competition? Publish your results online and compete with other players from all over the world. If you get tired of Klondike and would like to learn different kinds of games, download this ultimate solitaire collection. Even if you've played a lot of solitaire card games, these games will definitely be new to you. They will keep you engaged and busy for a long time. Purchase BVS Solitaire Collection now using secure order form. You will receive your registration code immediately. You will also get Plus Pack with lots of excellent additional card sets, card backs & backgrounds. Includes 3 years of free upgrades.